The shoreline awaits! Make one of your regular travel destinations your permanent destination by contacting Realty Executives today and inquiring about properties in the Silver Springs Shore real estate market. Located in the heart of Florida, the local population calls Silver Springs Shore homes for sale some of the best kept treasures in the entire state, if not the entire country! 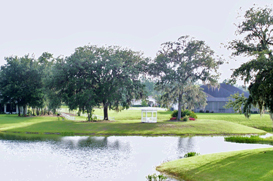 Located in Marion County, where rich history and diverse culture meet to form a friendly and open community, Silver Springs Shore is surrounded by some of the best golf course in the nation. What’s Florida without a little time on the links, right? Even just passing through the area will make you want to hop out of the car, grab your clubs, and start swinging down the greenways. Premiere courses like the Country Club at Silver Springs Shore are consistently praised for their grounds keeping. This par seventy-two course has nearly seven thousand yards of holes to cover. Opening in 1969 and designed by the renowned Desmond Muirhead, people venture from throughout the entire country just to get a shot off the tee on this challenging golf course. Silver Springs Shores real estate is often labeled as one of the best places to live in the entire country by magazines and websites alike. Since 2000 it has had a steady growth in population, with new families choosing to take advantage of the wonderful climate and bulging industries by finding their dream homes and brokering deals through the local experts at Realty Executives. In fact, the cost of living in Silver Springs Shores is almost eleven percent lower than the nation’s average! Affordable Silver Springs Shores homes for sale are one of the determining factors in this statistic, but with the news getting out the demand for prime real estate is growing. Can you afford to wait longer for your dream home? The classroom average is also below the national average, enabling teachers to focus more independently on each student, helping to raise test scores and increase the graduation rate. The construction industry is one of the biggest local employers, although due to an influx of residents the retail trade is taking off as well. New developments are being planned and the job opportunities are sure to rise quickly. Silver Springs Shores real estate is readily available…for the moment! People from across the nation are taking notice, so don’t waste another second by contacting Realty Executives today!